PCT WATERPROOFING WITH FIBRE is a high density topical coating for interior and exterior use.The product contains organic fibre to enhance body and filling properties. PCT WATERPROOFING WITH FIBREis a durable and slightly flexible chemical coating based on imported high solid close film formation resins and contains PCT WATER REPELLENT TECHNOLOGY. The product contains organic fibre to add body and to improve filling properties. Substrate cracks and imperfections up to 3mm wide may filled. Impermeable to water or moisture. Light grey, turns to dark grey after full cure. Note that colour differences may occur due to batch difference of the fibre colour. RESIN SOLID CONTENT 78.5% by mass. SPREADING RATE 0.5 m² per litre depending on the surface porosity. Apply with even strokes to achieve a consistent wet film thickness of 2 mm.Do not work from the container. Pour a liberal amount of fibre to the surface and spread by brush or roller (high density roller for smooth texture and fibre or wool roller for rough texture) application in even movement. FOR EXTERIOR EXPOSURE APPLY 2 COATS ACRYLIC COAT AS SACRIFICIAL COATING TO ENHANCE DURABILITY. THE ONUS IS ON THE ASSET OWNER TO ENSURE THAT THIS COAT IS MAINTAINED. Treat the entire surface with a 30% Hydrochloric Acid solution to remove any wax or white rust and to provide a key. After treatment wash down with clean potable water. Apply a coat of Primer for Galvanising in accordance with manufacturer`s instructions and leave to dry. Abrade the entire surface with 80 grit sandpaper and ensure that all rust or corrosion is removed. Remove all dust, dirt or any foreign debris with clean potable water. Apply a coat of Primer for Galvanising in accordance with manufacturer`s instructions and leave to dry. Abrade the entire area with 80 grit sandpaper or steel wire brush to remove any surface laitance and to provide a key. Fill in any imperfections. Thoroughly wash down the entire area to remove any dust, dirt or foreign debris. Leave to dry. AGED Abrade the entire area with 80 grit sandpaper or steel wire brush to provide a key. Thoroughly wash down the entire area to remove any dust, dirt or foreign debris.Leave to dry. Brush the entire area to remove all sand residue and loose particles. Ensure that the surface is dry. Ensure that the substrate is sound. Remove all dust, dirt or any foreign debris. Repair imperfections. Ensure that the surface is dry. Hose down with potable water and ensure that all dust, dirt or any foreign debris is removed from crevices and joints. Remove all vegetable growth with a household detergent solution. Remove all rust by sanding with 80 grit sandpaper and steel wire brush. 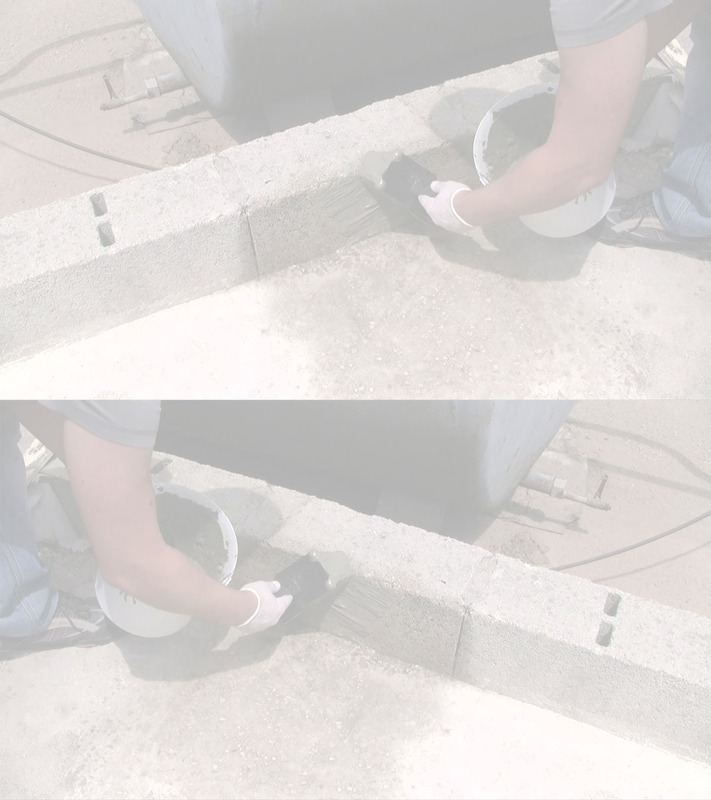 Remove all dust, dirt or any foreign debris surrounding the steel. Patch prime exposed steel with Primer for Steel and leave to dry. CLEANING OF EQUIPMENT Use potable water. A tube applicator for corners and crevices will be available soon. The information contained in this document is meant as a guide for the specifier or user. It is gained from laboratory tests conducted in controlled environment and experience. No guarantee of performance is implied since application procedure, conditions of use, substrate conditions and substrate cleanliness is beyond our control. Should a Guarantee of Performance be required, PCT WATER REPELLENT TECHNOLOGY cc will present a written Project Specification subject to terms and conditions.